Struggling readers activate their right brains to read, but skilled readers use the left brain. By speaking the words first and sounding them out, children activate and build pathways in the left brain, where new crucial links to visual words need to take place. Developed, in part, with a research grant from the National Institute of Child Health and Human Development (NICHD), Talking Shapes is a set of seven stories that introduce all 40 speech sounds (phonemes) in English and the letters that stand for those sounds. G. Reid Lyon, Ph.D., former Chief of the Child Development and Behavior Branch within the NICHD. • Learn about “two sisters long ago” who invent the alphabet to save their stories. • Discover that mouths make different sounds when they say a word. • Each app introduces a few new sounds, their letters, and words to write with those letters. • With 7 apps, children systematically learn 38 sounds, and 26 letters. Draw letters with a finger on the screen; letter sounds are spoken as letters are drawn. • Draw the letters within guidelines inside the Talking Shapes picture. • Draw the letters within guidelines only. • Draw the letters within the Talking Shapes picture with no guidelines. • Draw letters to make dictated three-letter words. Name target pictures, sound out the word and select the correct letters to spell the word. • Select letters embedded in the picture to spell the target word (Game 1). 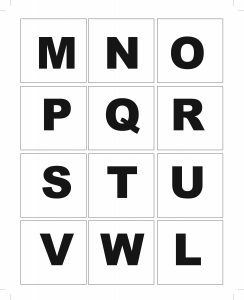 • Select letters without the pictures to spell the target word (Game 2). • Draw the letters inside the picture, with no guidelines, to spell the word (Game 3). Read words that have been spelled. • Listen to a four-sentence story and watch the words appear. • View the four sentences as they appear again with blanks. • Select words from moving choices to fill in blanks in the sentences. Children acquire the necessary tools for efficient reading and writing. The alphabet makes more sense to children if they understand from the very beginning that words they say are made of different sounds and that they can construct words by assembling or drawing the letters that stand for those sounds. children learn that spoken words are made of individual sounds (phoneme awareness). children learn that letters stand for those sounds (phonics). children learn how to draw those letters. children learn how to sound-out and write 3-letter words. I would watch her play the games and I noticed she started sounding out 3 letter words. This app really encourages and makes it very easy to learn the sounds of the letters. What blew me away was she was learning how to read, spell, and write all in a fun storybook setting kind of way. I am not a huge fan of little kids sitting down to do any kind of formal type of schooling at this age so it was nice that she was learning through playing a game. She would laugh and giggle at certain points of playing like when the pig would start dancing (apparently that is pretty funny when you are 3). The first day we used this app is very memorable for me. We were on our way to girl scouts and my daughter was in the back seat rattling off the words: fat, cat, and sat. I heard her even spelling the words and trying to tell a story using those words. I was actually kind of impressed that the app influenced her that much. I was actually very proud of her for remembering what she had learned. We are still working on sounding things out but I have seen a great improvement after using this app. I used to answer “When will Jude would learn to read?” with “When pigs fly,” because even though we have had some minor successes with other programs, Jude really hasn’t been able to crack the code of reading. Since we started this, he is starting to sound out words, and recognize component sounds. He’s not quite reading yet, but he’s so much closer than he’s ever been before. This program really is forcing him to break down words into sounds, and between hearing and seeing the sounds, his speech and reading abilities have made great strides. After doing this for the past month I have noticed a definite difference. She has walked around saying many of her sounds over and over. She has spent a lot of time writing out letters and then saying the sounds to herself. I think the ultimate thing that told me that she was learning from this app was while building the words on the iPad she then would write them letter for letter on a piece of paper. The best age for Talking Shapes is around Pre K â€“ K. The age range is vendor suggested, but I also have a 9 year old daughter and a 12 year old son that got a kick out of the music and the visuals in this app. My daughter even used it on the sly during her free time. That is how much fun this is for all that use the product. I was thrilled to use this app with McKenzie who is 4 years old. She is just showing signs of reading readiness and this app is a great springboard for her curiosity. She had access to the app everyday during her technology school hours and frequently choose to play this app over other games on the iPad or computer. While Talking Shapes is designed to give Preschoolers and Kindergarteners a head start on mastering reading, it could probably be used on slightly older kids who struggle with reading. My son turns 8 in 2 weeks. â€¦it has definitely been beneficial to him as far as reading goes. We were already making progress in the area of reading and phonics, but after using the app, his reading seems more intuitive and less forced. He doesn’t seem to be struggling as much either (which makes this mamas heart super happy)! From Fun Educational Apps Review:“This app has a lot to offer the young reader. I really liked the concrete connection between letter sounds and pictures to represent the sound. For instance N is a Noodle and H is a Hat. I think this is a super clever way to associate letters, sounds, and words.” Read More. “This app would be a great addition to your library for parents of a preschooler or early elementary school aged child. It provides a comprehensive view of a variety of letter sounds and encourages children to hear them, pronounce them, draw/trace them and finally put them together. My son was very engaged with the app and asked to play it several times while I was testing it. The app contains no external links or in-app purchases. I encourage parents to read the â€œiâ€ button as it provides a great context for the activities contained within and how to best use the app with your child or children.” Read More. “This app is developed by experts in the field of child development and the stories and activities are designed to give children a maximum learning experience in a simple and easy to use app. Instructions are always given by the narrator and hints are always available via the hints tab so children and parents will not have any trouble navigating the app. The app is designed to teach and all the audio visual elements of the app reflect this objective. The cartoony artwork and animation will grab children’s attentions while the clever choice of letters’ visual representations will help them remember and learn what letters look like. The activity of drawing the letters will definitely help in learning retention. The narration is also clear and helpful while the music and sound effects support the visuals perfectly. The app does not contain any third party advertisements nor does it collect any personal information which guarantees that this app is definitely child friendly.” Read More. Three pre-K classrooms in a public school district in Connecticut were selected to participate in the study. The research was funded by the National Institute of Child Health and Development (NICHD) as part of a Small Business Innovative Research (SBIR) Grant that also funded the development of the literacy apps (Talking Shapes) for pre-school and kindergarten. Should four-year-olds be introduced to letters? If so, how can they be introduced in a meaningful way? And how can that introduction be done using interactive, playful learning experiences? Is playing with ipad apps motivating and effective in teaching phoneme awareness, letter knowledge, and phonological blending? 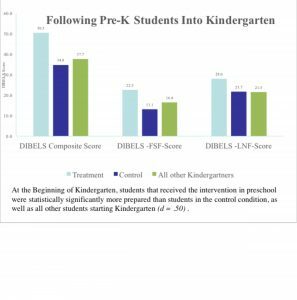 PK students from the treatment group were followed into Kindergarten to determine if they performed better at the beginning of Kindergarten compared to control group students and all other students that entered kindergarten. Teaches children how to read by associating the sounds that they hear in words with the symbols or letters associated with those sounds. This instruction focused on the development of phoneme awareness (noticing the movements of the mouth as it makes the sounds of a word) and phonics skills (linking those sounds to the letters that represent them). Students will also respond to comprehension questions during the read-aloud to support their listening and speaking skills and to develop their comprehension abilities. We followed up the descriptive statistics with a simple regression model. 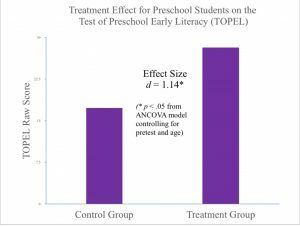 Due to the small sample size and limited demographics, the models tested the differences between the two groups (treatment and control). 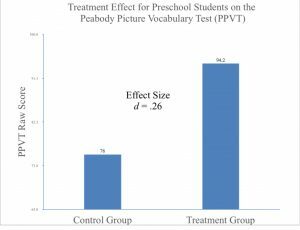 Overall, we found a statistically significant effect for the treatment group (p < .05), indicating that the treatment group was significantly more prepared for kindergarten than all other students. Q: Can I use this app on a tablet as well as the computer? Q: Does the app have an assessment component? A: Yes. On the browser-based online apps for computers, Talking Shapes has assessment built in, and the teacher or parent can view the child’s progress. The apps flow from one lesson to the next, with assessments after Apps 3,5 and 7. Q: Is there any research to show that using the Talking Shapes program will improve my child’s reading? A: Yes, the program was extensively researched through a grant from the National Institute of Child Health. Please view the research section of this website. Q. Many reading products claim to be research-based; Why is that important? A. It’s important for developers of reading products to base their products on the latest and most reliable reading research. It is also important to find out whether the product they have created really works to help children learn to read. This can only be determined via well-designed classroom research, with a variety of children using the product. The most current research in reading has found that, to become successful, fluent readers, children need phonics-based instruction that is systematic and explicit, with ample opportunity for individualized instruction and feedback. For fluency and comprehension, they need to develop strategies that use a knowledge of how words are constructed in English. Talking Fingers has incorporated these principles into its approach of using writing as a route to reading. Q. Where can I go to get a quick demo of Talking Shapes? Q. Can you tell me a little about the product's creator? A. Dr. Jeannine Herron has been involved in children’s education since 1955. This mother of two, and grandmother of five, has been teacher, activist, research scientist, adventurer, editor, writer, and educational software developer, and shows no signs of slowing down. She began her career as an American teacher in the mid-fifties, teaching English, Mathematics, and General Science to middle and high school students in Ramallah, Jordan. Seven years later, she and her husband, and their two small children moved to Mississippi to be active in the civil rights movement. It was there that Jeannine became Co-founder and Program Director of the first Head Start project in the United States, the Child Development Group of Mississippi, an organization that served over 5,000 children. Jeannine received her Ph.D. from Tulane University Medical School, and went on to Stanford Research Institute as a neurobiologist and neuropsychologist. In 1974, she moved to UCSF and was awarded a research fellowship from the National Institute of Health (NIH) to investigate the cerebral organization in left-handers, Her first book, Neuropsychology of Left-Handedness, was published by Academic Press in 1980. From 1976 to 1984 she continued at UCSF as research psychologist, contributing to all aspects of a large NIH-funded project studying dyslexia. In 1982, she founded a non-profit organization for educational research that has produced more than 50 conferences across the U.S. to inform professionals in health, psychology and education about relationships between the brain and learning. She developed and carried out research with two major software programs funded largely by the National Institute for Child Health and Human Development (NICHD). She is still actively involved in lecturing and providing professional development for teachers. Her experiences with children in Mississippi, her history in the classroom, her research in dyslexia, and her discoveries from teaching her own children to write, fueled her desire to develop practical tools to help children learn to read and write. The Talking Shapes curriculum is about sounding-out and spelling spoken words (writing-to-read). The goal is to develop an automatic and fluent ability to segment spoken words into their sounds, link those sounds to letters, and draw those letters to make the spoken words visible. Students will read what they write. If you have computers, you can get the Talking Shapes curriculum at the Talking Fingers web site. If you only have one computer, show your students the Talking Shapes program and children can take turns interacting with your screen. If you have no computer, you can just use the movable alphabet tiles as suggested below. 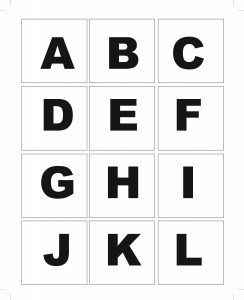 In any case, using the alphabet tiles is a excellent way to introduce or enhance a writing–to-read, or “speech-to-print” instruction. The following is a suggesting sequence and method for introducing sounds and letters. The letters are embedded in pictures that call to mind both the shape and the sound of the letter. For example, the first sound in a spoken word should call to mind the picture that represents that sound. The picture should call to mind the shape of the letter. The following is a similar sequence that is in the Talking Shapes computer curriculum, but this sequence is designed to use even if you don’t have any computers or internet. It is easier to remember things that are repeated in a systematic way. So we start in Level 1 with a word family—FAT, CAT, SAT, HAT. Then Level 2, will repeat the AT with MAT and the short A sound with MAN, PAN, FAN, etc. and then introduce a short E with the sounds and letters in HEN, PEN, SET, PET, etc. Give your students a white board and marker so they can learn to draw the letters and spell the words after they use the tiles. You may have to do more sessions and proceed more slowly then what is suggested here, especially if your students have never been introduced to letters at all. Remember that it is the sound that they make with their mouth that creates the effective links in their brains. 1.Show them the TS tiles— A, T, C (acrobat, tree, cat) Explain that these letters stand for the sounds in words, and they are going to use these letters to make the word CAT. Give each of them the 3 letters. 2. Have them identify the TS as a-a-acrobat, c-c-cat, t-t-tree, etc. Be explicit–”a” is the first sound your mouth makes when you say the word “acrobat”, etc. 3. Assemble the word CAT, sounding it out. Give them A, T, C, and help them make the word CAT. 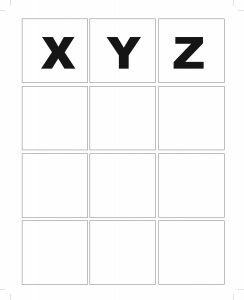 1.Show them TS tiles –A, T, C, F, H, S Use the TS tiles like flash cards to review names (acrobat, tree, cat, fox, hat, snake) and sounds. 2.Give them each 4 tiles—C,A,T,F. Have them find the A and T and make AT. When you say “aa” your mouth is open. What are you doing with your mouth when you say the sound “c. ?” You are closing your throat and popping the air through. Use mirror or camera for “selfies.” Have them say FAT, CAT, SAT, HAT and watch their mouth change shape. 3.How can you make that word AT start with ‘c’ to make CAT? Sound should link to picture. Picture should lead to shape. 2.Give them each 4 tiles—A,T, F,S. Have them find the A and T and make AT. 3.How can you make that word start with ‘f’ to make FAT? 4.How can you make that word start with ‘s’ to make SAT? The sound “s” sounds like a snake hissing, and it ‘s wiggly like a snake. 1. Flash all 6 letters, have them name the TS (acrobat, tree, etc.) and the sound. 3. Use white boards for writing these letters and words. If you have shown your students the first TF story and played the games on your computer, they may be eager to move on to the next story. If there are children who cannot name these first letters or the pictures, or the sounds, and do not get the idea that words are made of mouth sounds and are not “getting it”, put them together in a group that needs more repetition. They may need to move more slowly at the beginning. Don’t push, be sensitive to their ability and progress. They are still trying to figure out a lot of things about the world. Start with the M. Introduce the word “mountain” and point out the shape of the mountains. Talk about what they do with their mouth to make the sound “m.” Do this when you introduce all the letters in this level. Use white boards for writing these letters and words. Introduce Long E—Talk about open syllables. When there is no consonant on the end, the vowel says its name. Try these sentences or others you make up. They have learned 20 phonemes and their letters: A, B, C, D, E, F, G, H, I, J, L, M, N, P, S, T, W, long a, long e, long, i. Keep going in the same way with the next levels. Make up words with them that use the sounds and letters they have learned.